BERKELEY, Calif. -- In a news conference here today, Dr. Timothy Leery, CEO of Galaxy Laboratories, Inc. and Regina Langstaff, President of Grand Coast Tours, LLP, announced the formation of a new, co-owned company called Trippy Travel, Inc. The new company will be headquartered in Woodstock, N.Y. and will manufacture and distribute Laboratory Simulated Destination (LSD) capsules. Proclaimed as "the world's first 'legal' travel drugs," these potions promise to leave the consumer with all the memories of a two week vacation without ever leaving his home. According to the companies' joint news release, LSD capsules are "pharmacological agents that operate simultaneously in the parietal lobe and limbic system to give users travel experiences that, upon awakening, are indistinguishable from actually visiting the particular selected destination." 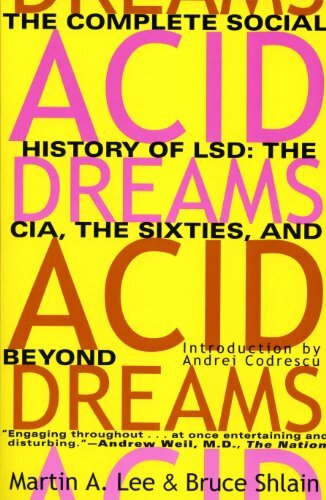 Wynona Frachance, corporate communications director for the new company, said, "Human trials of the active ingredients of the LSD recipe are nearly complete, and we expect the Food and Drug Administration to approve their use within 30 days. The first series of capsules—what we are calling our 'European Tour,' which includes trips to Paris, Rome, London, Madrid and Berlin—should be on the shelves in time for the summer travel season." Reliable sources within Trippy Travel have indicated to Err Travel that as more regional selections are rolled out—the "South American Tour" is expected by year's end—that the company will also introduce a "frequent tripper" program. Taking a trip without leaving the farm, however, is not without risks. Company documents discovered by Err Travel revealed that in an independent study by MicroPsych.com, the side effects of LSD ingestion can include compulsive removal of shoes when passing through small portals; uncontrolled whistling accompanied by the flailing of arms and an occasional scream of "Taxi! "; compulsive collection of small shampoo bottles; and—most disturbing—binge packing.